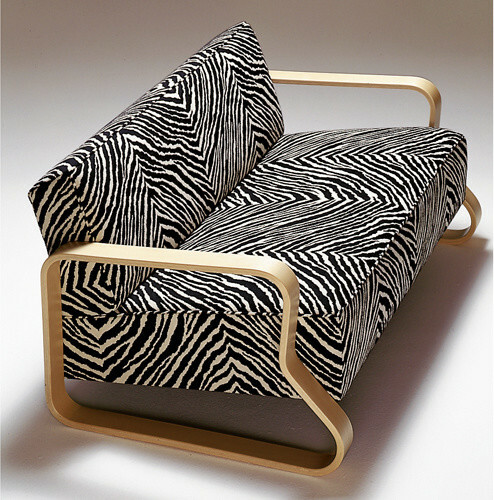 This classic mid-century modern sofa was designed by Alvar Aalto. Its timeless style continues to be popular today. 55" x 33" x 25.5"